Daily timetable helps everyone to be disciplined in their life and never to miss out the tasks one is supposed to be doing every day. It helps in keeping track of daily performance and improving every day to reach the ultimate goal. It does not depend on the activities a person is doing; it is applicable to all the professionals, students, little children as well. 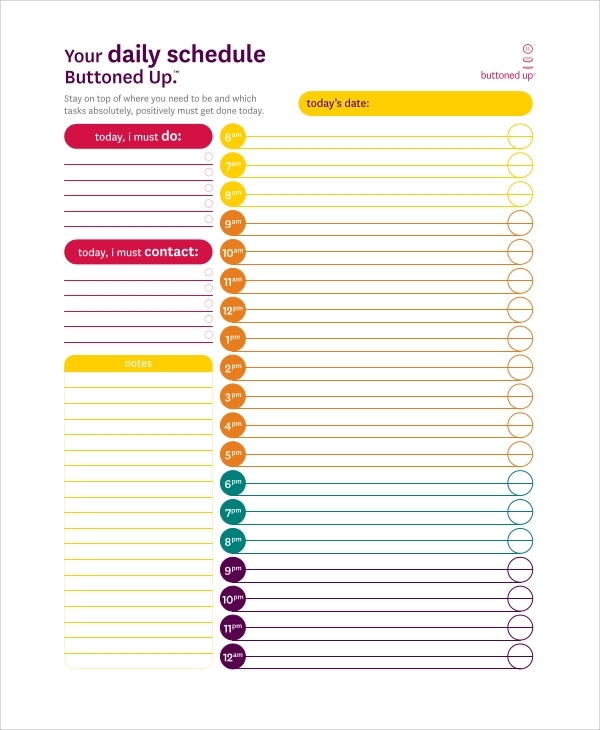 The following daily timetable templates have colorful designs to attract your mind for reminding you and encouraging you to do the tasks and rate them accordingly. 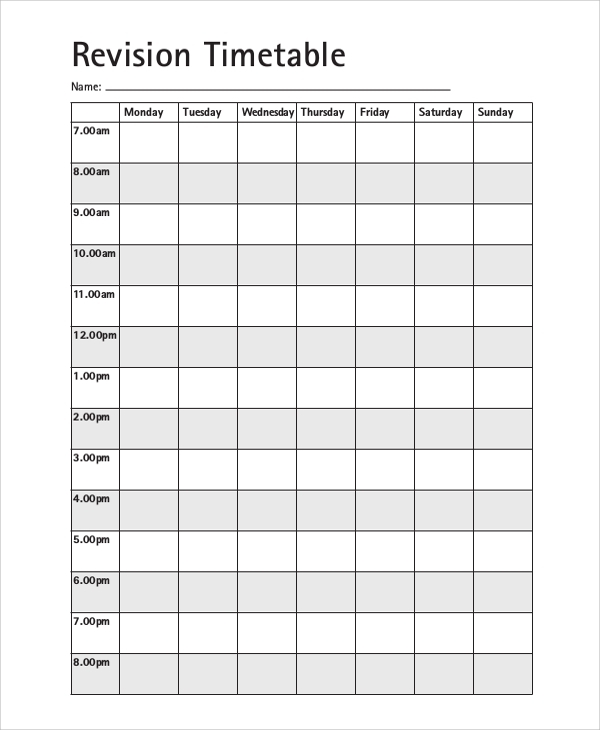 There are Sample Weekly Timetables according to which you can form your timetable for betterment. 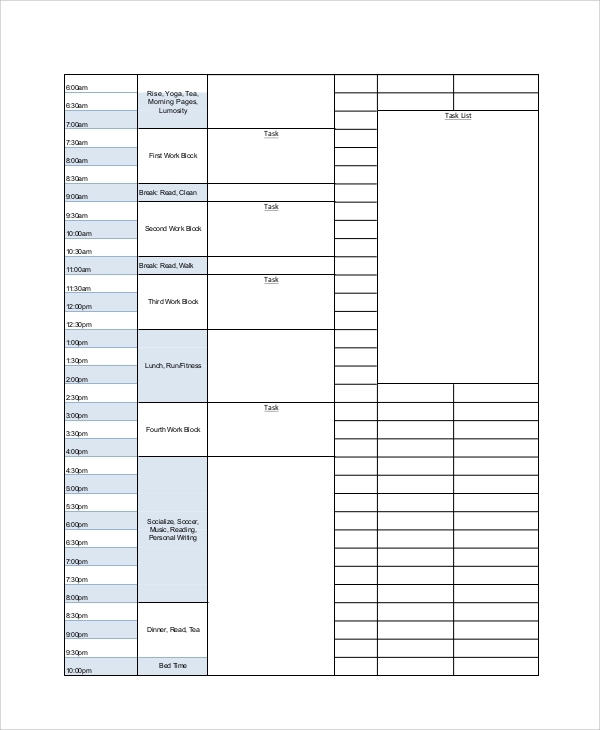 This is a complete daily routine timetable containing multiple samples. These samples will give you an idea about how to form your own routine. It can be done day wise in case different tasks are to be performed on different days or it can be done weekly as well if tasks are repetitive in nature. It contains thousands of ideas about daily tasks and it has 37 pages. 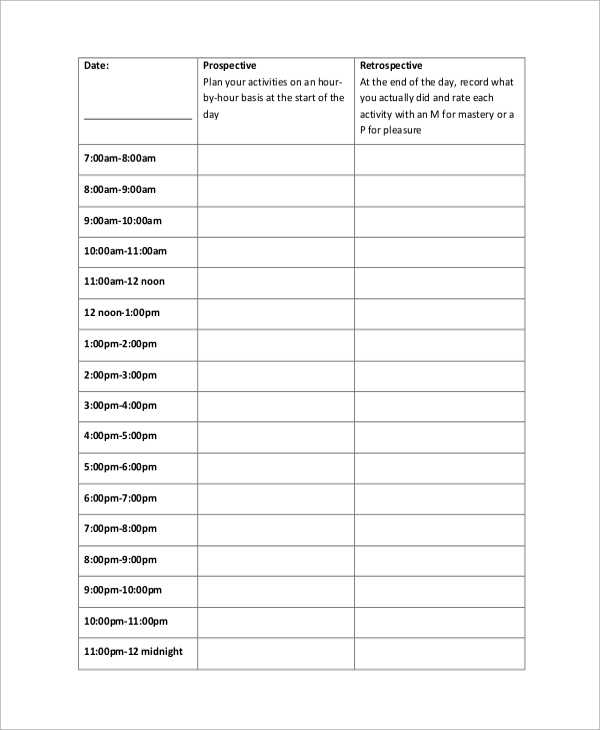 This is a perfect format to prepare daily activity timetable. It divides activities into two parts – prospective i.e, planning beforehand to perform them according to the plan and retrospective i.e to record the activities once they are done to analyze them in future. You can also rate your activities so that you can improve on a daily basis and achieve the long term goals easily. 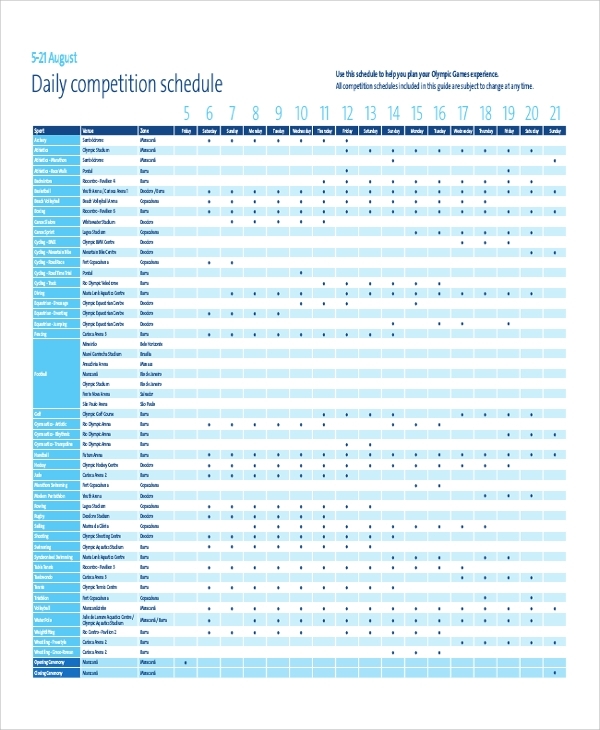 This is a complete guideline manual to form your timetable for daily study. It explains with illustration on how to draw a study timetable that is feasible, it asks several vital questions that must be answered before preparing an effective timetable. It also suggests very important tips and tricks to make your study a fun activity. It provides 3 different and colorful timetable formats for your use in preparing your timetable effortlessly. A daily timetable helps to prioritize the tasks and break down tasks into parts to complete them effectively. The above mentioned daily schedules and timetable formats are tailor-made to bring the best out of you as there are provisions for rating as well. 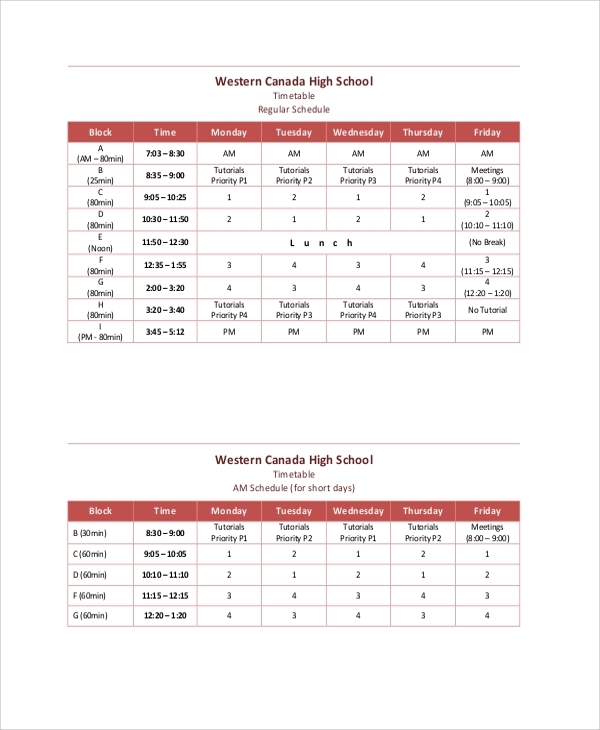 They also contain guidelines and questionnaires that you must answer before preparing a timetable so that you can have all the aspects in mind while creating an awesome and super effective timetable. They also provide hundreds of ideas around which you can form your hourly, daily and weekly schedule to make your lifestyle disciplined and progressive. The targeted audiences for these daily schedule formats, templates, ideas and guidelines are common people irrespective of their age or profession. For the students, it will help them to progress gradually and keep track of tasks and works from hour to hour. Ideas and guidelines will help you to work effectively and make a stunning progress. For a professional person, it will help them to break down the tasks into small parts and achieve them on a daily or hourly basis to achieve the bigger goals and targets. 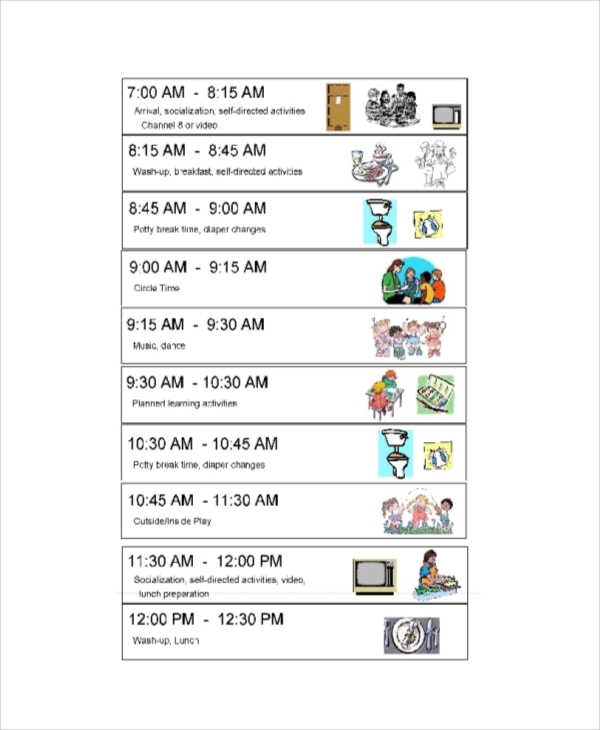 Such daily schedules and timetables help in making life easy and comfortable. There will be no headache of missing out or forgetting tasks in hand. One can prepare the schedule beforehand and keep on achieving them from time to time. It helps the managers to schedule a big project by breaking it down into smaller parts and let different teams achieve them in a specified time period. It helps in making progress in professional and personal life and become more disciplined and avoiding last minute stresses. 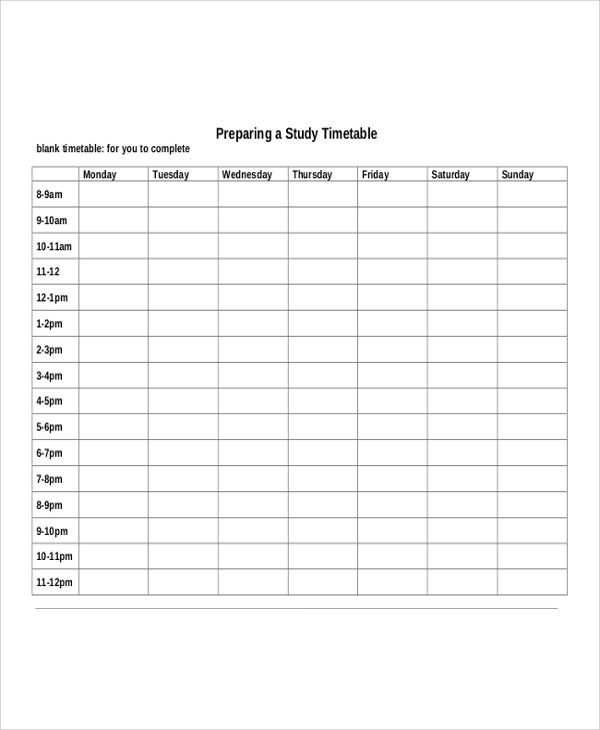 The above-listed timetable templates are tailor-made to prepare a study and work related daily and hourly schedule. This sort of timetable helps in formulating and evaluating allotted tasks and thereby improving in future. This helps to keep track of tasks one must do on an hourly to daily basis and it is also useful for any organization to define the tasks employees need to complete every day.You can also see Sample Class Timetables.